The northernmost of the six Médoc communes, St. Estèphe was unfairly judged when the 1855 classification was decided; probably because of its distance to the city of Bordeaux. Although it is the largest of all the Médoc communes with 1,377 hectares of vineyards, there are only five classified growths that produce 20 percent of the wine in the appellation. Two second growths dominate the appellation: Cos d’Estournel and Montrose although a contender for the St. Estèphe crown today would certainly include Calon Ségur. This is also the appellation with some of the best cru bourgeois estates (there are 35 of them) – names such as Phelan Ségur, Ormes de Pez and Clauzet have excellent reputations. The wines of St. Estèphe have in the past rather suffered in comparison to those of St. Julien and Pauillac. They are not as sweet and fruity nor do they have the same blackcurrant flavours. St. Estèphe wines at the top end can be quite austere when young with deep tannic structure, spice and very finely packed fruit. They take some years to open up and reward careful ageing. The cru bourgeois wines are more approachable with plummy, earthy flavours and softer tannins. While Cabernet Sauvignon remains the most important grape in the appellation, Merlot is gaining ground, making the wines richer and rounder than in the past. St. Estèphe is one of the most improved appellations in Bordeaux. The vineyards of St. Estèphe climb upwards from the Gironde estuary where the sandy gravel eventually gives way to heavier clay soils. Due to the cooler terroirs found here, St. Estèphe is usually the last of the Médoc communes to start harvesting and the appellation does well in hot, dry years. The highest point of the appellation is Cos d’Estournel but its epicenter is the village of St. Estèphe which dates back to the 17th century. Bright garnet colour, expressive nose with notes of wild berries, spice and minerality. A nice structure with present yet supple tannins and a lovely fresh finish. A fabulous success for this very consistent cru bourgeois owned by Belgian, Baron Velge who has lavished such care and attention on this estate. 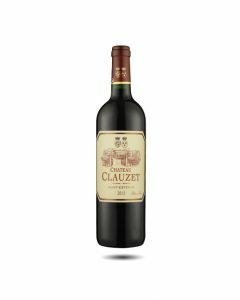 Everything that I look for in a wine of this class – fresh fruity flavours in the nose and palate, sweet red fruit ripeness, soft but present tannins, good use of oak, a juicy, fresh and long finish. This deserves a place in everyone’s cellar for medium term drinking. Ripe forward flavours make this wine from Baron Velge, very attractive this year. Round and fresh on the palate with notes of autumn fruit, oak and tobacco leaves. Good tannic concentration on the finish. Le Clauzet de Maurice Velge a grandi en stature et en complexité d'année en année et ce millésime est sans doute le vin le plus fin qu'il ait jamais fait. Ce vin est très attractif avec beaucoup de notes de fruits rouges et noirs. Il est doux et chaleureux dès l'attaque, bien balancé, avec des tannins suaves et du chêne bien intégré. Il ne s'agit pas d'un des grands vins, mais d'un vin avec d'énormes atouts et d'un superbe charme. Expressive and fruity on the nose with notes of cassis, prunes and a touch of cedar. Open and fruit at the start, the wine develops a more austere character on the palate. The finish is fresh with a lovely persistence. Very well-made. A blend of 47% Cabernet Sauvignon, 44% Merlot, 7% Cabernet Franc and 2% Petit Verdot, this very expressive wine with aromas of black cherry, lavender and violet in the nose is followed by a richer and darker palate with supple tannins and a good freshness. A touch of minerality on the finish. One of our favourites which always gives lots of pleasure.